A Burlington lawyer with over 30 years of experience and an endless supply of dedication. 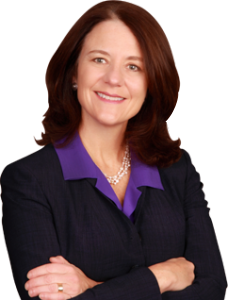 If you’re looking for a Burlington, Vermont attorney, Mary Kehoe offers the experience and dedication you need. At our Vermont law firm, you can enjoy the confidence of working with lawyers and legal professionals who have over 30 years of courtroom experience. We are dedicated to what we do. Most importantly, we are dedicated to you and your case. From personal injury lawsuits to civil litigation and family law including child custody and divorce, we offer compassionate and dedicated representation. Our lawyers handle everything from simple, straightforward cases to complex litigation and mediation. Through all our work, we pride ourselves on providing personalized legal representation tailored to your needs. Working with us, you will find a friendly face and steady hand to guide you — experienced trial attorneys who have the dedication it takes to win. Our first step is to listen intently to your concerns and understand the core issues you face. With my Web Guru Rebecca at Propeller to make sure my Website is ADA compliant. Who knew! The information and materials on this website are for informational, marketing and advertising purposes only and should not be construed as providing the reader with legal advice. I look forward to hearing from you and you are welcome to contact me by phone, mail or email. However, contacting this office or use of this website or any of its links does not create an attorney-client relationship between you and The Kehoe Law Firm, P.C. or any lawyer employed by The Kehoe Law Firm, P.C. Please do not disclose any confidential information when you contact us. Vermont Personal Injury Lawyer, Family Law Attorney: The personal injury, auto accident, slip and fall, medical malpractice, negligence, condominium disputes, construction defects, breach of contract, boundary disputes, consumer fraud, probate litigation, bankruptcy court, divorces, marital estates, family trusts, partnerships, business assets, alimony, business valuation, custody, visitation, child support, mediation and other legal information offered by Mary Kehoe, Vermont Personal Injury Lawyer and Family Law Attorney, is intended as general information only, and does not constitute formal legal advice or the formation of an attorney-client relationship.